NEW: At the Committee meeting held 13-Nov 18 the Board decided that Relay Entries will not be required for the Central Division Pennants. All Clubs submitting entries will automatically be assigned a team in each relay event. NOTE: Information on the website is frequently updated. This means that you need to refresh your page often. This can be done by pressing F5 at the top of your keyboard or the refresh button in your browser. Doing this will ensure you are viewing the most up-to-date information. 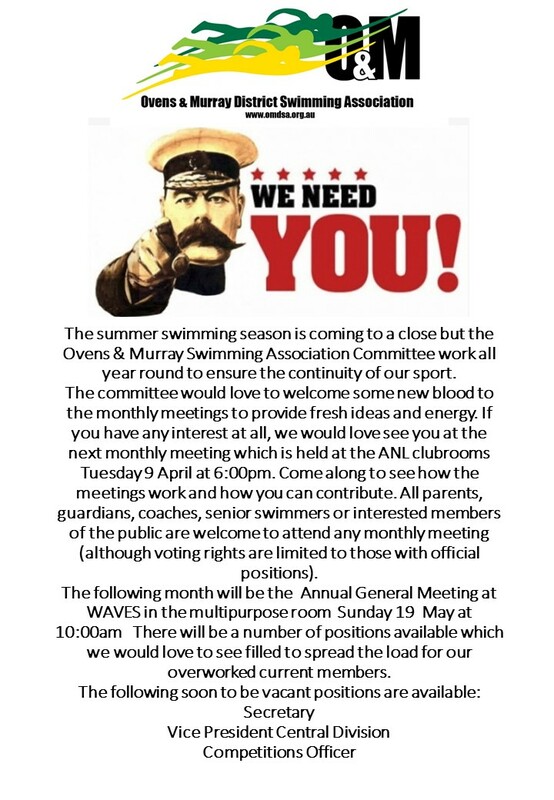 Narellan Pools "Covering all Clubs within Ovens & Murray District Swimming Association"
© 2000 - 2017 Copyright Ovens & Murray District Swimming Association Inc.
All rights Reserved ABN: 94762042923.